You may have heard that CoolSculpting® is the revolutionary way to freeze your fat cells and say goodbye to them for good, but did you know:1. Your skin is protected during CoolSculpting® treatments. That’s right, even though we are freezing fat cells, your skin in the area is protected by a cool gel pad. The non-invasive nature of CoolSculpting® also prevents any sort of penetration of your skin (no risk of scarring!). You will notice it is cool to the touch and slightly red immediately following the treatment, but all returns to normal within a few hours time post-treatment.2. Results are gradually achieved. After your CoolSculpting® treatment, optimal results are seen about 3-4 months post-treatment. The frozen fat cells are processed through your body’s natural waste disposal mechanisms leading to a slower, gradual change. Quite ideal if you don’t want anyone to know you’ve had work done. Results are from a DLCC patient, 4 months after one series of treatments. 3. You can return to work following your treatment. One of the beauties of this treatment is the ability to have it done and return to most normal activities the same day. (We say “most normal activities” as you may want to reduce vigorous exercise for a few days after your treatment.) You will experience some light cramping and tenderness, but all should subside within a week. 4. Men like CoolSculpting® too. When it comes to freezing away fat cells for good, it’s definitely not a girl’s only club! Many men are interested in this treatment and enjoy the ease and convenience offered by still being able to work on their tablets or lap tops during the treatment, the gradual nature of achieving optimal results and the anonymity of going to a dermatology office to have the procedure done. 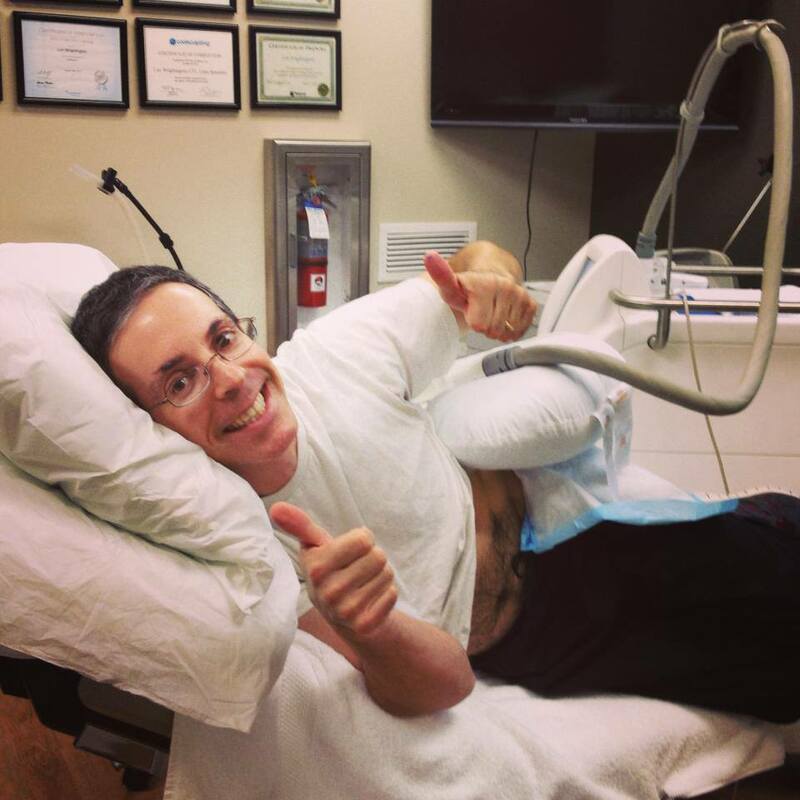 Speaking of men and CoolSculpting®, recognize this guy? 5. “Couch potatoes will not get optimal results.”These words spoken by Lori Wrightington, our CoolSculpting® Specialist, relay the importance of maintaining a healthy, active lifestyle after your treatment. While studies have shown the treatment reduces fat cells in the targeted area by 20%, it does not prevent remaining fat cells from expanding if conditions present themselves. CoolSculpting® is not a weight loss solution, but an easily accessible and affordable tool to use in helping you achieve your desired outcome. If you look in the mirror and wish things were maybe a bit different, why not see if CoolSculpting® can help you get there? Consultations and assessments are complimentary. What do you have to lose?